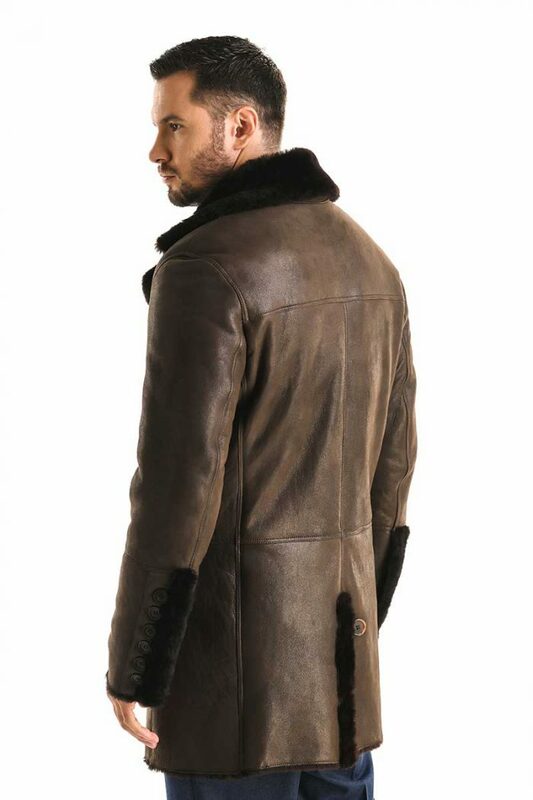 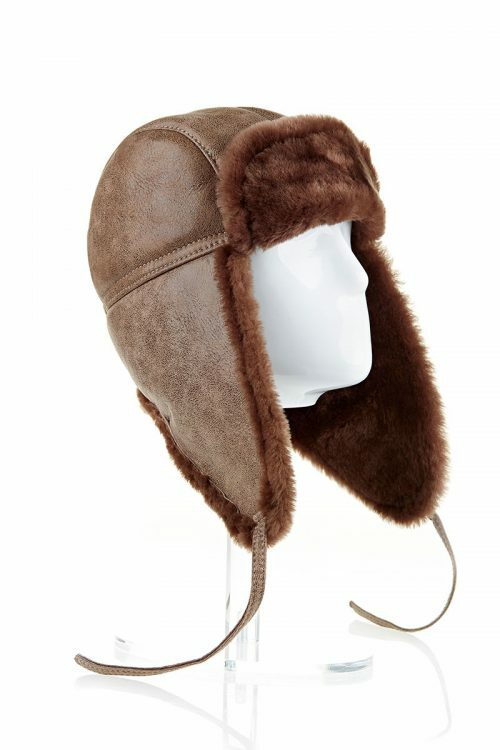 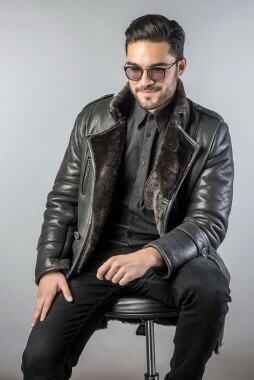 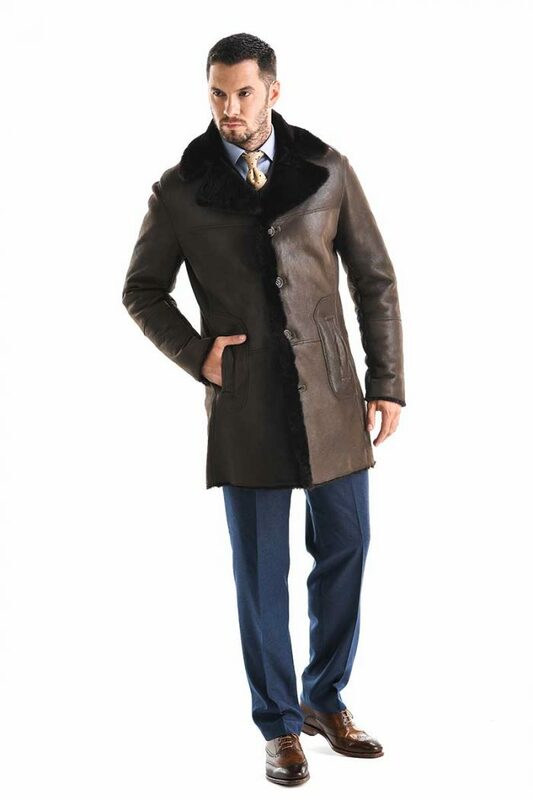 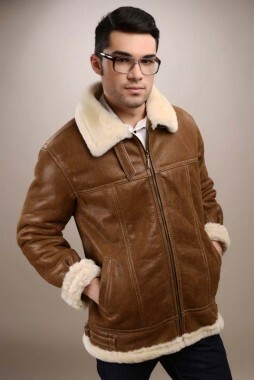 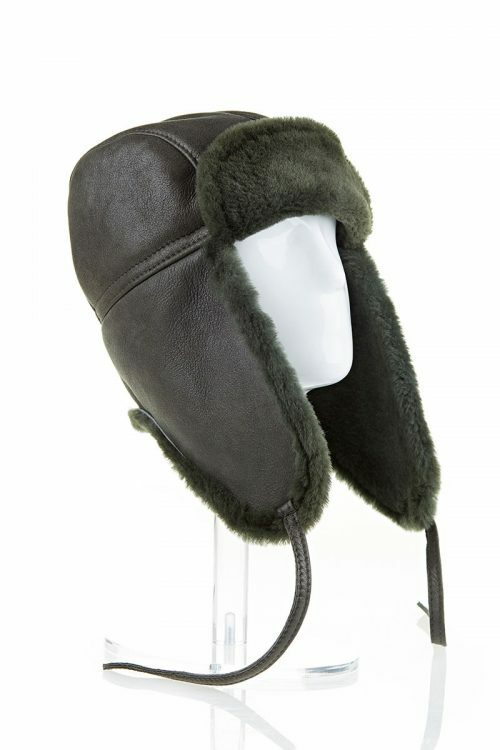 This men’s coat made of natural sheepskin’s fur is particularly elegant, making it ideal for the cold season of autumn and winter. 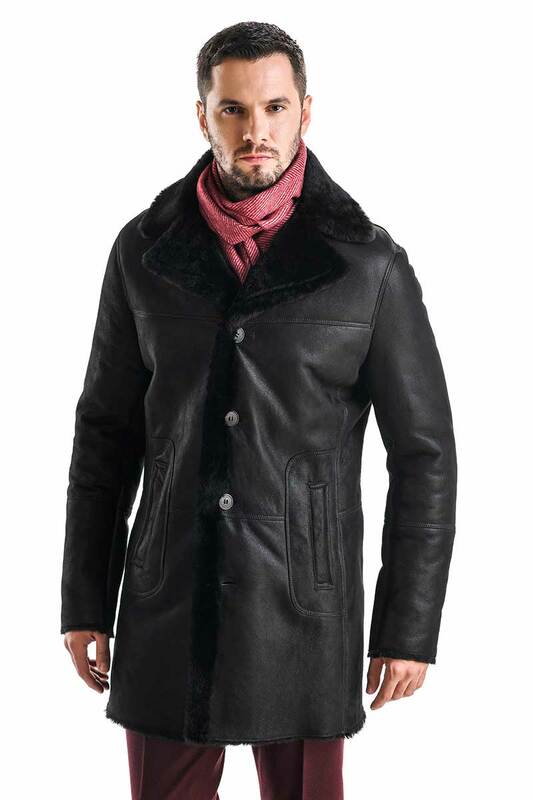 The deep collar of the jacket and its straight cut gives it a modern and masculine look, and its color inspires authenticity and maturity. 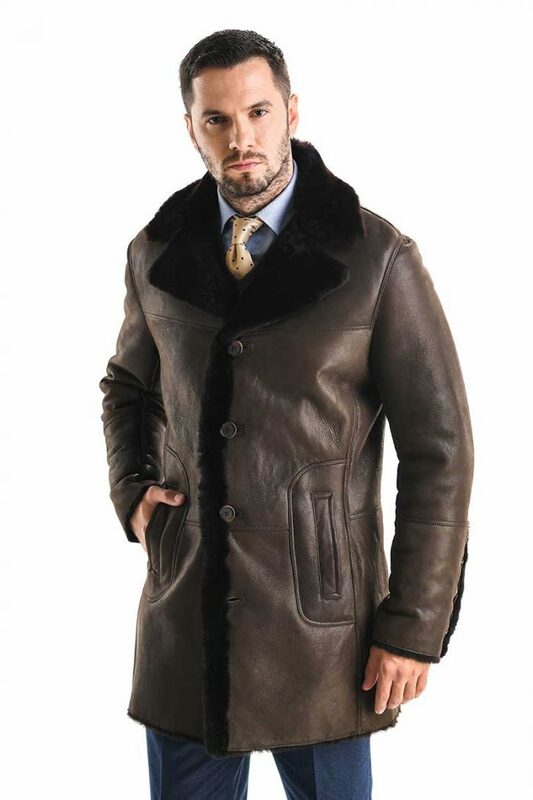 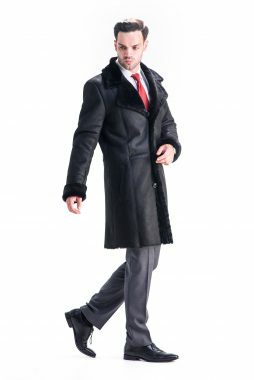 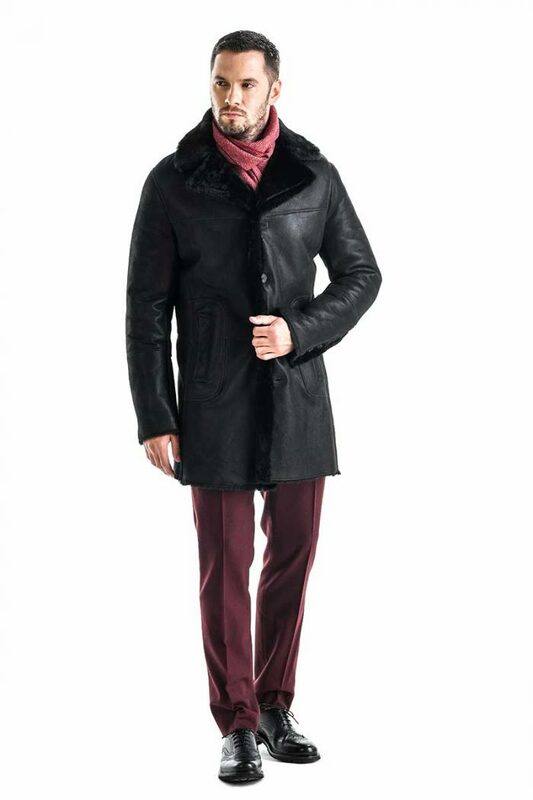 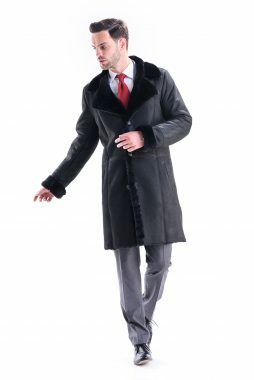 Warm and very practical, this lambskin coat will help you always look impeccably and feel comfortable despite the low temperatures. 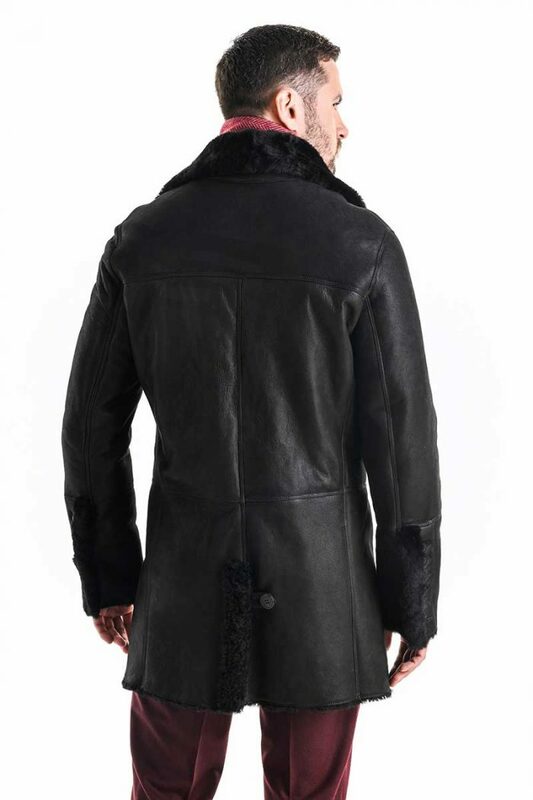 The visible stitches and side pockets give the jacket an original look that fits a garment made exclusively from natural materials.